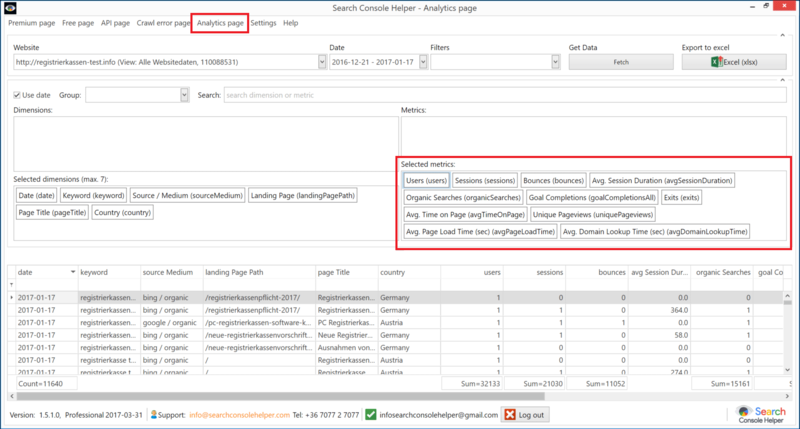 The 1.5 version of Search Console Helper brings several important improvements, including unlimited Google Analytics metrics, ability to validate your code with the W3C validator, check the page speed via Google’s PageSpeed Insights, etc. We managed to get around the limit of 10 metrics, imposed by the Google Analytics API. You can now select as many metrics as you need. The only thing you need to worry about is that you are using valid combinations. URLs linked from — a list of URLs that still link to the page in question. 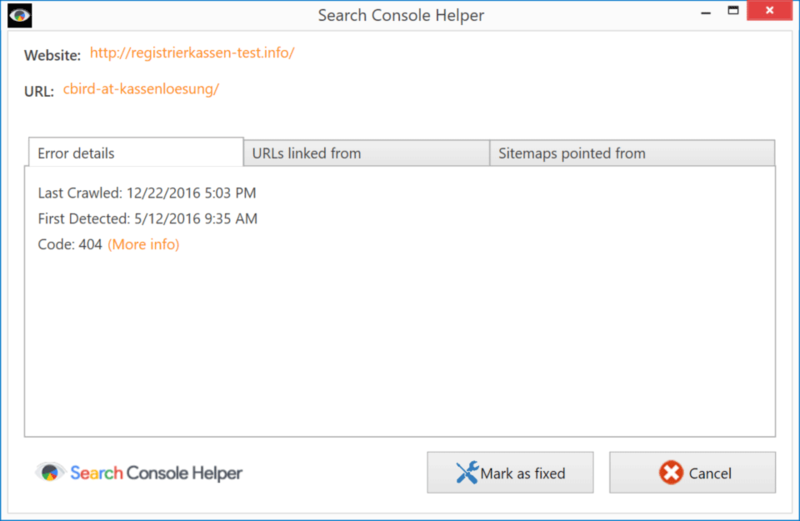 Sitemaps linked from — a list of sitemaps that still link to the page in question. Check HTML in W3C validator — selecting this option will parse the page URL through the W3C validator, which will check the HTML code of the page for any errors or warnings. 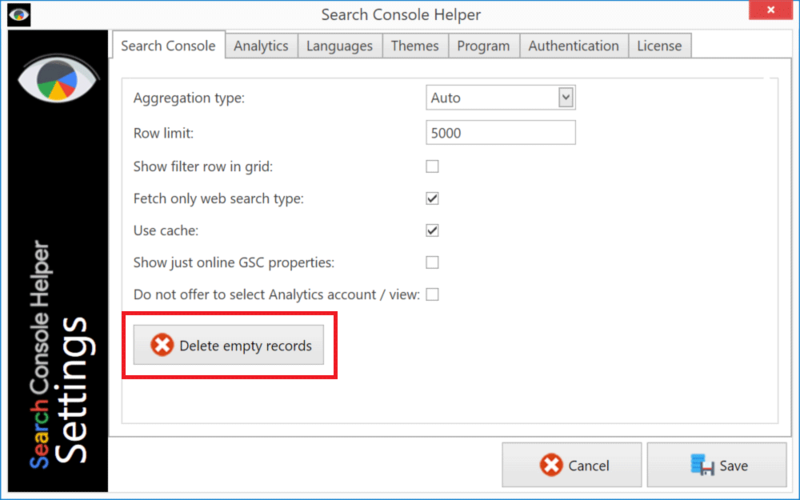 Check in Google Cache — selecting this option will run the cache:[URL] command in Google, which will display the page as cached by Google, including the date the page was cached. Check in Google PageSpeed — selecting this option will parse the URL to Google PageSpeed Insights, which will help you identify any page speed issues. A host of other small additions and fixes was applied to this new release. One of the more important ones was fixing the Clear Cache button in Settings. 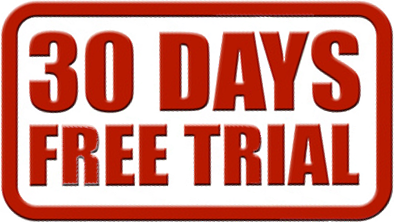 Test 30 days for free!